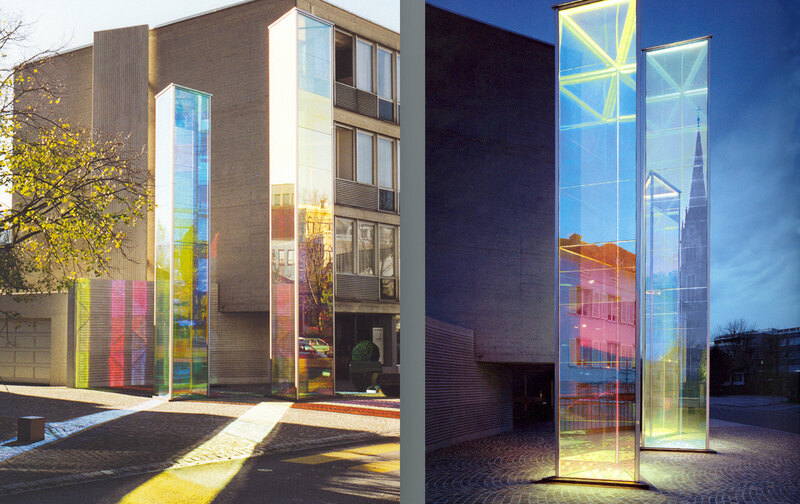 This column ensemble (8 and 10 meters high) by the famous artist Heinz Mack is made of dichroic glass. The colour changes and refractions of the reflected surrounding can be savoured in the light interplay. The impression by day or night is very different, but always predictable by the artist or architect.